Dreamtopia Sweetville Castle Just $59.97! Down From $100! PLUS FREE Shipping! You are here: Home / Great Deals / Amazon Deals / Dreamtopia Sweetville Castle Just $59.97! Down From $100! PLUS FREE Shipping! Amazon is currently offering this Dreamtopia Sweetville Castle for just $59.97 down from $99.99 PLUS FREE shipping! Discover the magical, make-believe world of Barbie Dreamtopia. Dreamtopia’s Sweetville Kingdom celebrates all things sweet, from fruit to candy, and the magical characters who live there are even sweeter. The Dreamtopia Sweetville castle, with two levels and eight play spaces, inspires sweet dreams and delightful stories. Bright colors, decal backgrounds and royal touches invite imaginations to move right in. 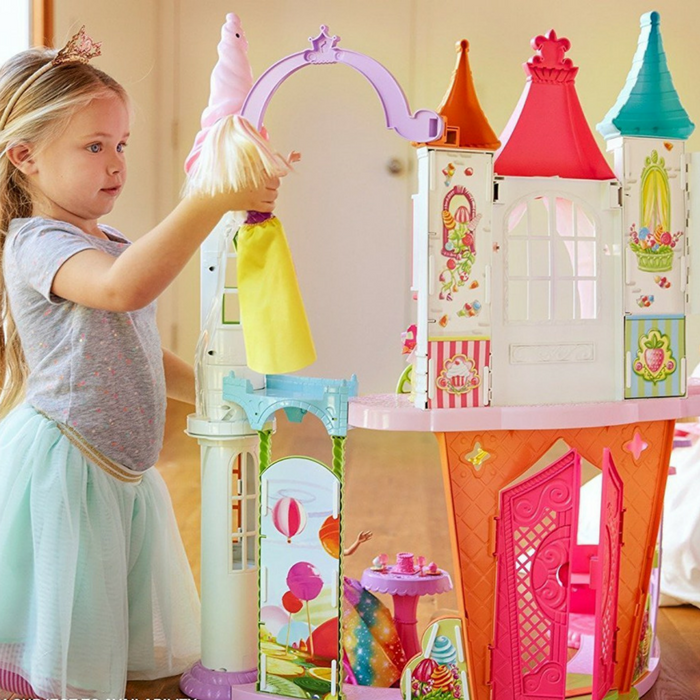 Inspired by the magic of Dreamtopia’s Sweetville kingdom, the Barbie Dreamtopia Sweetville Castle play set has bright colors and signature details on all angles, like cut-outs, windows and turrets! Two stories and eight distinct play spaces inspire all kinds of storytelling! Dream up a bath in the second-floor bathroom, or remove for a bright, translucent pool to dive deeper into fun!